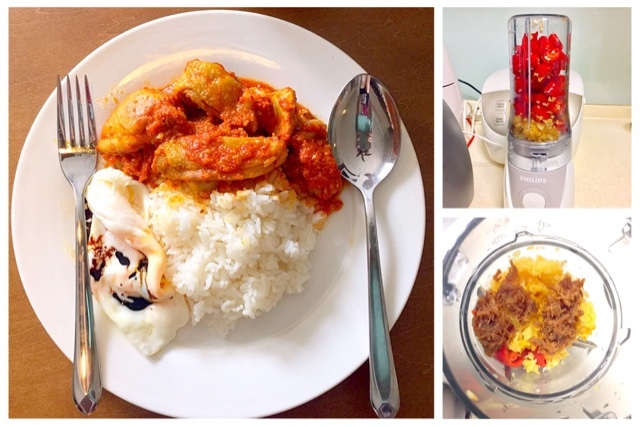 How to cook Spicy Turmeric Chicken with Nasi Lemak made with coconut oil? In the morning, I was craving for Nasi Lemak with something spicy. I happened to have leftover chicken, fresh chillies and guess what, coconut oil! Coconut Oil has tons of health benefits - one of which, is its ability to turn bad cholesterol into good cholesterol, promoting heart health. 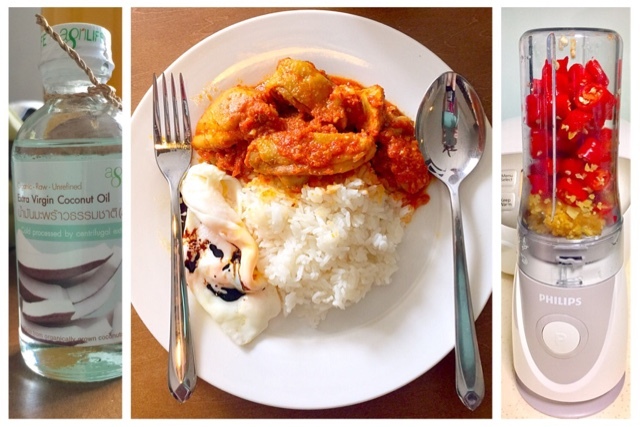 Today I decided to make Nasi Lemak with healthy coconut oil instead of unhealthy coconut cream and blend fresh chillies. Turmeric goes very well with chicken. I always enjoy making my own chilli paste as I could adjust the level of spiciness and I also adore the freshness of blended chillies. I purchased my blender from Philips and it is only available on FortyTwo online store. I could not find it in retail stores. The blender is easy to wash, and most importantly, idiot proof. I could also make fruit juice with it as well. How to prepare chilli paste? The chicken has been marinated overnight due to the cooking from the previous day. I marinated the chicken with light soya sauce, fish sauce (1 teaspoon) and sesame oil. 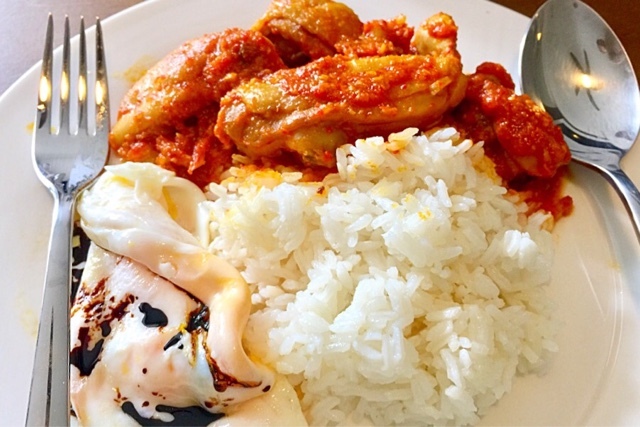 How to cook Nasi Lemak with coconut oil? I added some ginger slices and cooked with the rice. It is best to include pandan leaves as well. After the rice had been thoroughly cooked, I used coconut oil with a lot of health benefits and poured into my rice. I gave it a good mix. 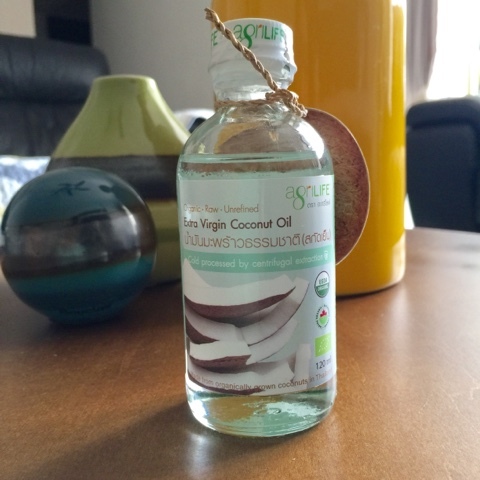 It was not very strong initially so I continued to add more oil until the coconut fragrance was strong enough. I closed the rice cooker and left it to keep warm. How to cook Spicy turmeric Chicken? The best part of preparing my own chilli paste is the frying process. I put two tablespoons of oil on the pan and heated it up. 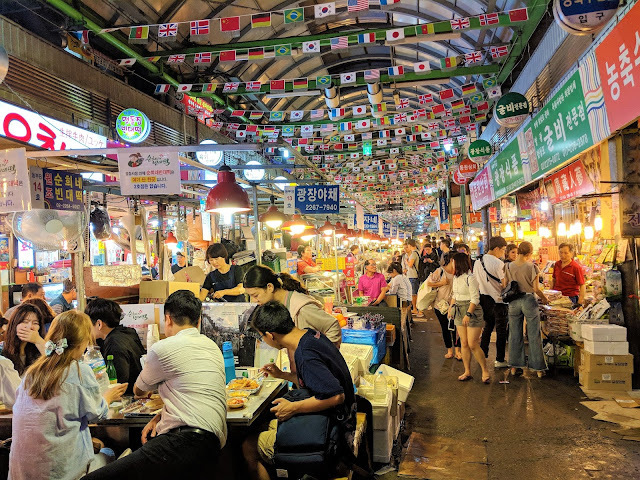 I love the aroma of fried chillies, garlic and turmeric. Once the chilli paste had been further reduced to a sticky version, I placed all the chicken parts into the pan and gave it a good fry until all the chicken parts had been coated with the paste. I added 1 tablespoon of turmeric powder and stir fried it again. Add salt to season. Taste and adjust the salt. Next, I added water till it was enough to cover up to 3/4 of the chicken parts height. I mixed it well, lowered the fire and covered the pan with a lid. I simmered it for 15 minutes to allow the chicken to be cooked well. I removed the lid and fried it again. When the paste was reduced to a sticky paste and all the chicken parts had been coated with it, I tasted it, made any further salt adjustments and it was ready to be served. I also cooked a He Bao Dan (folded egg with runny yolk) with some dark soya sauce on the yolk. 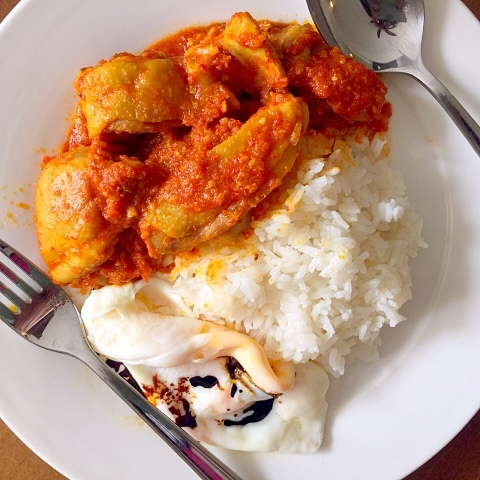 The combination of runny egg, dark soya sauce, spicy turmeric chicken and Nasi Lemak, tasted heavenly. Yums!